Adam Horowitz announced today on Twitter a sneak peak at the title for the upcoming Season 3, episode 4, of Once Upon a Time. 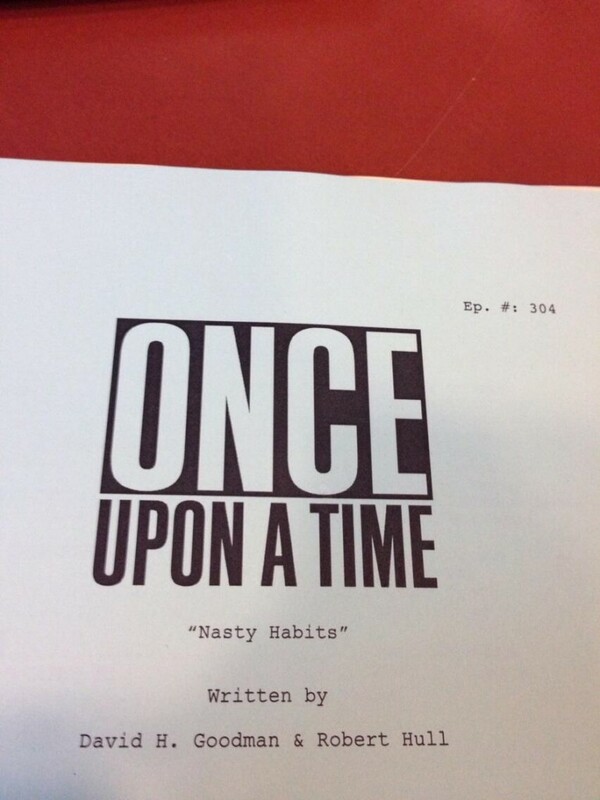 The fourth episode started shooting today is titled “Nasty Habits.” We have no idea what to make of this title, but it certainly sounds juicy! What do you think could be happening in Once Upon a Time’s Season 3 “Nasty Habits?” Tell us below in the comments. Next Next post: What’s the deal with Peter Pan? All I know is it probably has something to do with Rumplestilskin considering Adam and Eddy said that episodes 2,3, and 4 were going to be flashback related and he said that Rumples flashback was going to be episode 4. So honestly who knows. I guess we’ll all find out soon enough. Heres to hoping its nothing extremely bad dealing with any of the core characters.